This is a longer ride that adds some hidden gems in Chania City and Old Town with the rest of Chania’s icons. 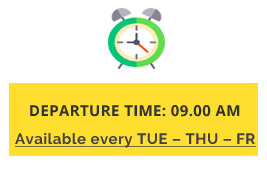 Chania Bike Tours staff will give you great tips on what to do while in town, the best places to eat and drink, and how to make the most of your time in Chania. So, sit back and enjoy a fun, safe ride as our expert guides show you the way. Chania Bike Tours offers an easy paced eco-friendly bike tour of Chania’s fair city and surrounding areas with local guides to show you the magnificent sights. Join Chania Exploration Bike Tour and we’ll take you by bike to many points of interest around Chania with lots of photo opportunities. You’ll be filled in on local info past & present, with plenty of laughs along the way. 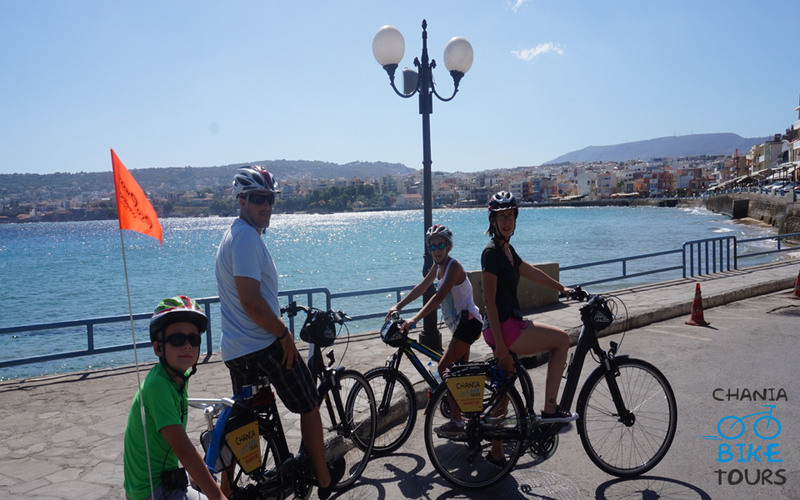 Our laid back bicycle tour of Chania is a must when visiting the island of Crete. 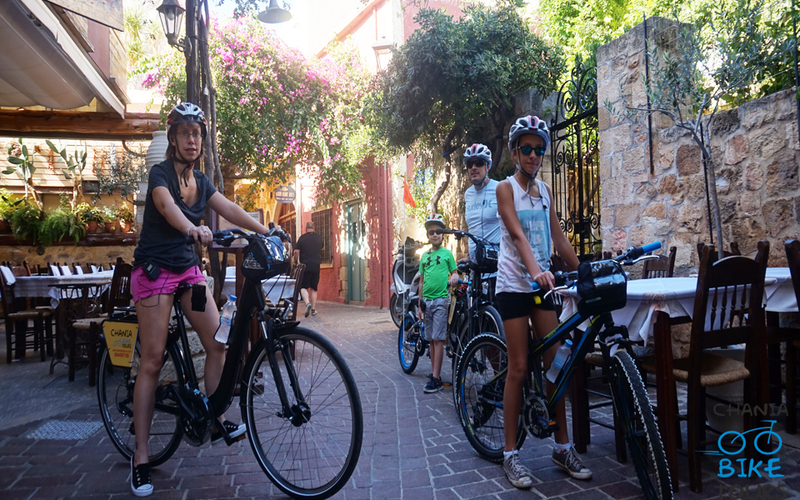 Our bike tours are an informative, unique way to see the beautiful Chania City, significant and impressive museums and a colorful Venetian Harbor. A great way to meet new friends, orientate your self and simply have lots of fun. Discover the beauties of Chania in a fun and non-conventional way on a 3 & a half hour guided bike tour. A full view of all the beautiful sights in Chania city. The route is to visit from the west the Nea Chora -a picturesque harbor and a sandy beach-whose name means New Country, Old city and Harbor, Kum Kapi (Turkish name preserved “Gate of Sand”), Halepa the east side-famous as the scene of the most important political events in 19th-century Crete and furthermore to the north-east of the old town of Chania, the Splantzia district. Along the way you hear also the historical information about the monuments you see on the way. The Municipal Market of Chania, The Cathedral of the Presentation of the Virgin Mary (Trimartiri), Franciscan Monastery of Aghios Fragkiskos, The Jewish Synagogue (or “Ovriaki”), The Venetian Walls, Nea Chora – The Beach of Chania, The Egyptian Lighthouse, The Navy Museum, The “Firka” Fortress, Giali Tzamisi, The Byzantine Wall, The Grand Arsenal, The Venetian “Neoria”, The Gate and Rampart Sabbionara, Koum Kapi, Halepa, The Holy Temple of Aghia Magdalene, Splantzia, The Dominican Temple of Aghios Nikolaos – Hiougkar Tzamisi (the Mosque of ‘Igemonas’),The Temple of Aghios Rokkos, The Proto-Minoan Settlement of Kasteli, The Temple of Aghios Eleftherios. With us there is no monotonous looking up of annual figures, but exciting facts and stories about the city and the sights. To inspire you is our passion!